The parish of Felmersham and Radwell is located 60 miles north of London and 7 miles north west of Bedford in the county of Bedfordshire. The parish is almost entirely encircled by the River Ouse with access to the north by an early 19C bridge and to the south by a mid 18C bridge. The parish has a Village Hall, an early C13 Church and a Pub. The total population of the parish is approximately 800 people. 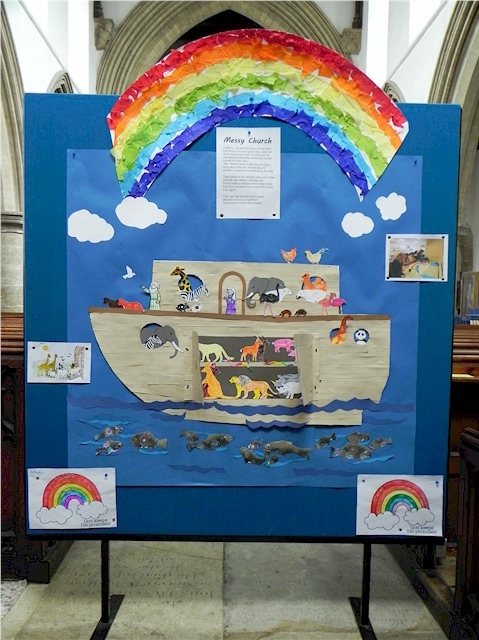 In March 2019 the children in Messy Church told the story of Noah by creating the above display board. Messy church is held after school in the Committee Room on the first Wednesday of each month. For details contact Sue Whitehouse. 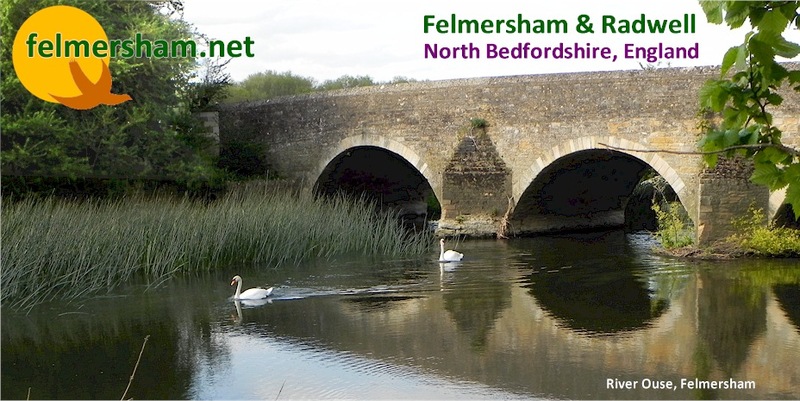 felmersham.net Online since October 1998.